The Cellular IoT RTU is an industrial class, high reliability, high stability, and programmable Remote Terminal Unit (RTU). It embedded 32-Bit High Performance Microprocessor MCU, inbuilt industrial Cellular module. It provides 8 digital inputs, 6 analog(ultra high 24 bit resolution) or PT100 Resistance Temperature Detector (RTD) inputs, 4 relay outputs, 1 ambient sensor input for monitoring onsite temperature and humidity, 1 Ethernet RJ45 port for connect internet WAN or LAN, supports dual nano sim card, with 2 RS485 serial port, supports 320 mapping registers via Modbus RTU protocol. 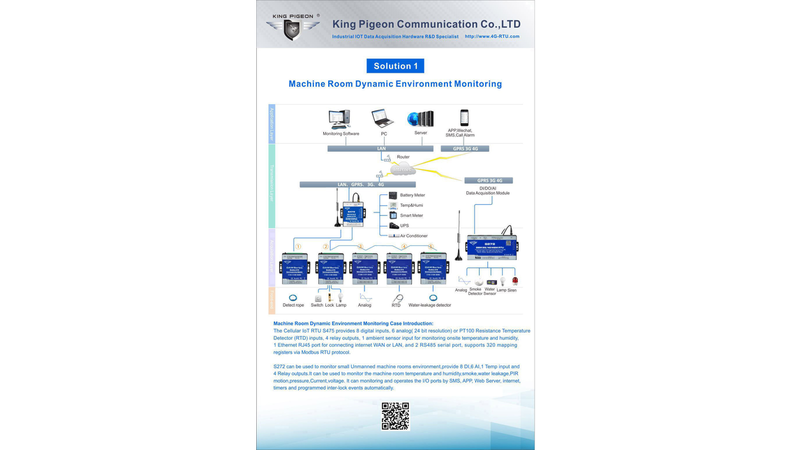 It can monitoring and operates the I/O ports by SMS, APP, Web Server, internet, timers and programmed inter-lock events automatically. 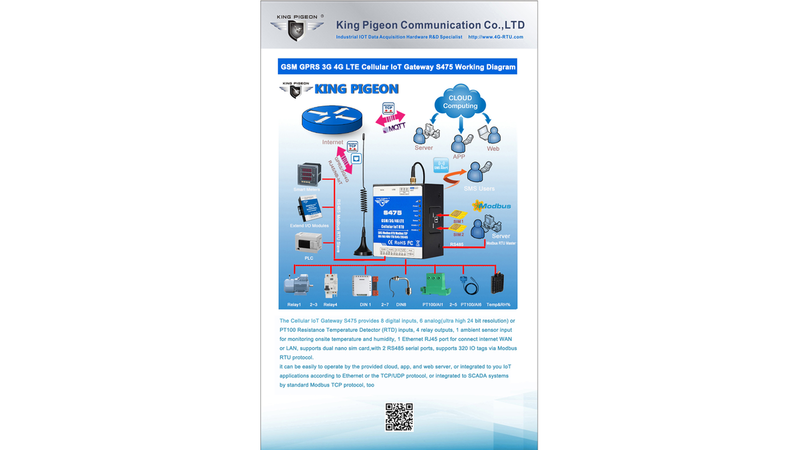 The Cellular IoT Modbus RTU inbuilt TCP/IP protocol stack make it suitable for internet of things (IoT) applications, it can be easily to operate by the provided cloud, app, and web server, or integrated to you IoT applications according to Ethernet or the TCP/UDP protocol, or integrated to SCADA systems by standard Modbus TCP protocol, too. This is very useful if you need remote control onsite devices with low cost solution.